Mobile Messaging has resulted in increased productivity, higher lead conversion rates and improved customer satisfaction at Hillarys Blinds. 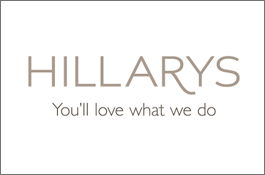 Hillarys Blinds is the UK’s largest manufacturer of made-to-measure blinds and window dressings; processing over 6,000 orders and manufacturing nearly 35,000 blinds every week. Customers appreciate the individual service offered by Hillarys’ sales advisors who visit the customer’s home, recommend on suitability of style and fabric for their windows and take accurate measurements. They then process the customer’s order right through to final fitting. Providing a personal customer experience is a proven business strategy for Hillarys – over 85% of turnover is generated by the sales advisors. The Company recognises the importance of technology and good communications and has invested extensively in every area of the business to optimise efficiency and improve business-critical communications. ProcessFlows supplied a server-based SMS messaging solution, Text Message Server, to Hillarys, integrating it with the existing SAP and email systems to enable the sending/receiving of text messages from within these familiar environments. An alpha tag (often referred to as a message header or sender ID) allows Hillarys to ID their outbound text messages with text (or numbers) which will appear as the ‘from’ address on the recipient’s handset. The customer knows immediately that the message is from Hillarys Blinds or Web-Blinds, so the message is less likely to be missed or deleted. Alpha tags are also great for SMS marketing, Hillarys are able to use theirs for marketing campaigns and very easily track the success of each campaign.